The Utah Water Quality Alliance (Alliance) was formed in 1994 to assist drinking water utilities in water quality optimization projects and in updates in new regulations. The main objective of the Alliance is a shared commitment to continuous enhancementof drinking water quality delivered to the community. The common goals are to work together to find ways to improve monitoring source water and treated water quality, optimize water treatment processes and enhance treatment plant performance in removing contaminants, evaluate new technologies, participate in drinking water research, provide input in the federal and state regulations, and assist smaller water utilities to produce drinking water of the best quality for the citizens of the State of Utah. 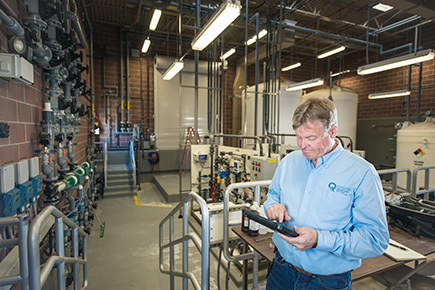 In 1994, the five largest water utilities in Utah, along with the Utah Division of Drinking Water and the Department of Health Laboratory, formed an alliance to strive for producing the best quality water. Regional Alliances were formed in 1997-1998 for small and medium size systems in three regions of Utah. 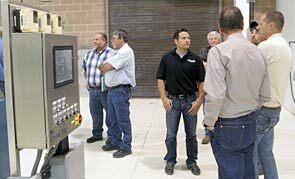 Thus, most of the surface water treatment plants in Utah are currently engaged in water quality enhancement programs and work together on optimizing their plant performance. The participants have become increasingly familiar with all the treatment facilities in the Alliance by reviewing the results and data presented at meetings and visits to each plant. Several teams, consisting of Alliance agency members, have accomplished many of the more complex tasks and studies and data gathering. Such teams were formed to conduct treatment evaluations, tracer studies, particle counting, jar testing, sample collection, data analyses, and regulatory reviews. The range of topics studied by these small groups is much wider than could be accomplished by a single utility. Members of the alliance contribute their time and expertise and provide financing for approximately one-half of the water quality monitoring effort. The Utah Department of Environmental Quality supports the water quality monitoring as a tool required for plant evaluation and optimization and sponsors the other half of the analytical costs. The Unified Health Lab provides all analytical tests and capability to process emergency samples. The Alliance members recognize the importance of the exchange of the technical information and acknowledge the significance of highly trained operational personnel in the continued enhancement of plant operations. The State Division of Drinking Water awards the continued education units (CEUs) to plant operators in the Alliance for active participation in the program.